Cyber threats and privacy issues are on the rise, feeding on the ongoing disruptive technological advancements. Syndicates of skilled & sophisticated rogue hackers target organizations to exploit vulnerabilities and make unethical gains, often jeopardizing their business. Threats evolve constantly, targeting an increasing number of organizations, while becoming more prevalent and high-profile. Attackers today are patient, persistent, and sophisticated, and attack not only technology, but also people and processes. Before an organization designs & deploys its risk management framework, it needs to cover some ground rules. It should find means for real-time visibility and ensure prompt mitigation of cyber risks. Individual cyber security reports must be interpreted effectively, and a dashboard view of the overall cyber risk being faced by the organization must be made available. The organization must also determine if it can prioritize risk & mitigation tasks, identify the Top 10 risks, gauge if hacking can be simulated to check preparedness, and check if the insurance premium can be reduced. 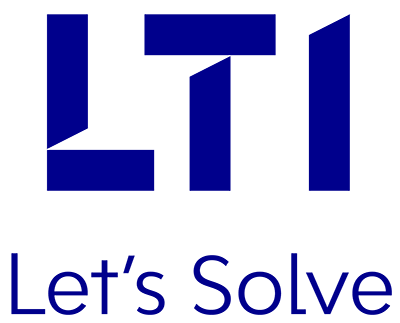 At LTI, we offer real-world solutions to address all concerns and requirements that enhance customer experience and improve cyber risk management. Our ATVM service is powered by a platform integrating internal vulnerability intelligence with external threat intelligence, accumulated from various security solutions and sources, across the global cyber security landscape. With the Advanced Threat and Vulnerability Management service from LTI, organizations can achieve the desired objective of real-time risk tracking, prioritization and mitigation. Identification and mitigation of 25+ unique security coding vulnerabilities across applications. Identification of Critical Vulnerabilities during application security testing.